Our visit in June put us right at the beginning of the rainy season, so we experienced some partly cloudy days and a couple of light drizzles along with humid weather. The temperature averaged around 90 degrees while we were there. There were still an array of colorful blooms to be enjoyed and many plants bearing fruit, though some of the foliage showed signs of having endured the dry season’s direct sunlight. Because it is close to the equator, Guam’s local temperature ranges between 75-85 degrees Fahrenheit throughout the year. Its dry season runs between January and June, while the rainy season is between July and December. The months of January through March are generally the coolest with June through August being the hottest. 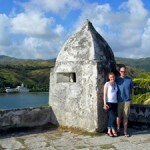 In pricing tickets, I found that the most reasonable rates were available between December and February. The summer months were higher due to the increase of family travel through Hawaii. One very helpful site in alerting me to changing rates was www.airfarewatchdog.com. 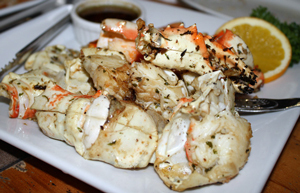 There are many wonderful foods to experience on Guam! In addition to the many local fruits like mango, avocado, bananas, papaya, breadfruit and coconut, you can taste many kinds of grilled fish, chicken, and shrimp. We thoroughly enjoyed our skewers of grilled chicken and shrimp along with fried rice and pancit noodles at Chamorro Village. Because of its close proximity to Japan, you can try many exciting and tasty dishes that will add to your colorful vacation. A local favorite is Benii Japanese Restaurant. With everything from grilled fish and shrimp tempura (lightly battered and fried) to sushi and sashimi you are sure to find something you will love. I would be remiss if I did not mention my personal favorite in desert/drinks, bubble tea and frappes. Bubble tea is a sweetly flavored tea beverage that can contain small tapioca balls or pearls called “boba.” It is a cold treat that comes in tea, smoothie, cream, or frozen coffee mixtures. Frappe is a milk shake type of drink that can be flavored with tea, coffee, or fruit. Tapioca Drink World (found in the Micronesia Mall and various locations on the island) and Coffee Story were popular stops throughout our week in Guam. Guam is lush with tropical foliage, the size and density of which are stunning. Its ideal temperatures encourage greenery to grow year round unlike many other climates. 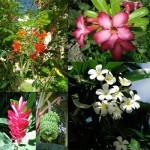 Flowering plants include bougainvillea, plumeria, orchids, hibiscus, along with many others. The carabao is considered a national symbol of Guam. It is a docile animal that can be restrained with a simple rope. If you really want to get up close and personal with a carabao, you can pay a small fee for a ride on one at Chamorro Village. Geckos also flourish here and can be seen outside on walls at night. They are harmless and eat ants. In the evening and early morning you can hear a symphony of sounds on the island that includes chirping geckos, crowing roosters, and quietly croaking frogs. Never to be ignored is the amazing aquatic life that lives in and all around Guam. For those who snorkel, Fish Eye Marine Park boasts some inquisitive and colorful residents. For those who are not as adventurous but would still like to view the subsurface world, Fish Eye offers a walk down the pier and underwater observatory. Sandwiched between the Pacific Ocean and the Philippine Sea, a drive along the main highway reveals beach after beach of varying landscapes and terrain along with breathtaking lookouts. From Umatac Bay with its historic Fort Nuestra de la Soledad, complete with cannon equipped lookout, to Ritidian Beach with it’s crystal water and white sand you will find unforgettable beauty and photo opportunities. One of the most amazing aquariums I have ever been to is Underwater World found in Tumon’s shopping district. With a transparent tunnel more than 300 feet long, you will feel like you are swimming with the fishes without really having to. This is a must-see! 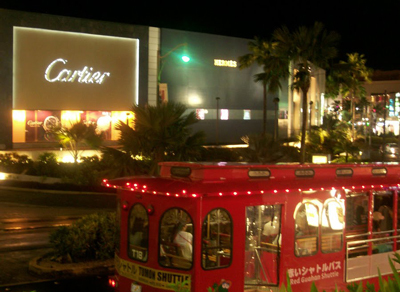 Also found in Tumon’s shopping district is, well, beaucoups of high-end shopping. This area is popular with tourists for its trust fund baby favorites such as Coach and Bvlgari. While I’d have to eat nothing but Ramen noodles for the next six months to afford a scarf there, it is still a blast to count the bleach blonde Japanese women decked out in floral maxi dresses and sporting false lashes, fedoras, and impossibly high platforms. You might even see a rotund bedazzled Elvis handing out fliers to his next performance at the SandCastle, a Vegas-style entertainment venue. 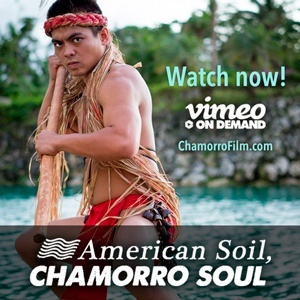 For a true cultural experience, you must visit Chamorro Village. Located next to the Hagatna Boat Basin and Paseo Stadium, you will find every Wednesday and Friday to be bustling with tourists and locals alike enjoying crafts, food, and dancing. I really enjoyed visiting Surf Beads jewelry store because of its endless choices and reasonable prices. We rounded out our visit to Guam with a journey into island dance at the fire and hula show at the Hilton Guam Resort & Hotel each night at 7 o’clock in the outside bar area. The beautiful and talented dancers transport you to a faraway place and time as you are immersed in their expressive performance. While there is no charge for the show, you can enjoy desert and drinks to make the experience even more memorable. 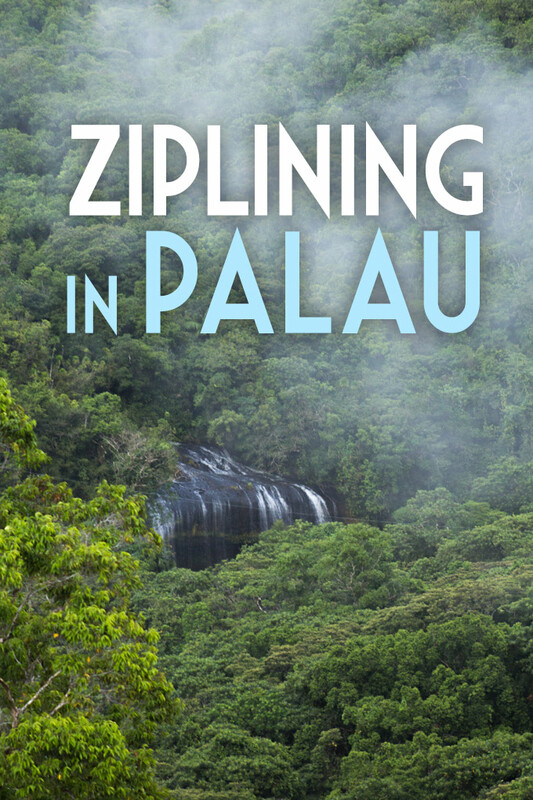 I highly recommend including this exciting yet relaxing program in your island journey. One prime reason for Americans to visit Guam is the convenient use of the U.S. dollar, the official currency of this U.S. territory. MasterCard and Visa credit cards are widely accepted. Chamorro Village vendors do require cash so be prepared. For those on a budget, we found ABC stores (located everywhere on Guam), Chamorro Village, and Underwater World had much to offer in providing your loved ones a little piece of your journey through souvenirs.